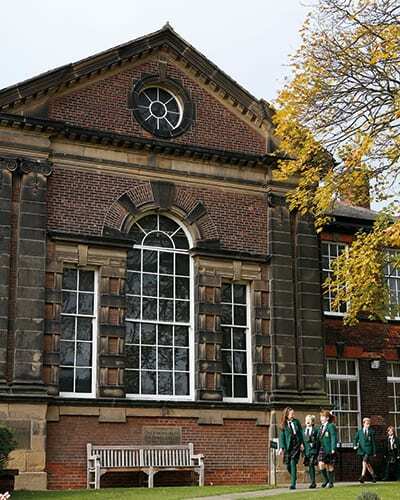 Silcoates is a 3 to 18 school which seeks to bring out the very best in every pupil through instilling in them a love of learning and a willingness to seize every opportunity they are given. Whilst many of our pupils begin their life at Silcoates in the Pre-School and Junior School, others join aged 11 and 16 (and at many points in-between!). 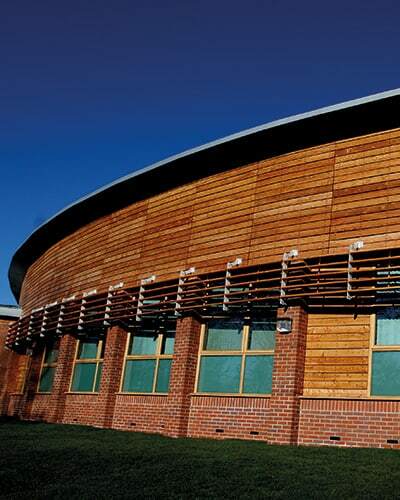 This continuity serves to embed the skills and qualities that make our pupils enthusiastic and effective learners. It also ensures that they develop strong and life-long friendships with their peers. New pupils to the School are given an especially warm welcome and they soon feel valued members of our community. Whilst we are academically selective, the pupils have a broad range of abilities and needs and thus we have a curriculum that becomes increasingly flexible as pupils develop their own strengths and aptitudes. The most academic will succeed at Silcoates – in 2017, one of our Sixth Form leavers went to Cambridge, four went to Durham and four went to medical school but all our pupils are given the opportunity to fulfil, or even exceed, their academic potential. Indeed, 90% of our UCAS applicants last year achieved places at their first choice universities on the back of their academic success. At GCSE, 94% of grades were at C or above, with 47% at grade A* or A. 24 of the 55 pupils in Year 11 achieved 5 or more A* or A grades. All bar one of the pupils achieved at least a C grade in English Language and Maths and all bar two gained 5 A* to C grades. The breadth and variety of our curriculum is matched by the range of activities on offer outside the classroom. Having all the School on one site enables the pupils in the Junior School to benefit from the vast array of facilities on offer, from the Multi-Use Games Area to the indoor swimming pool to the fully-equipped Drama Studio. In the Senior School, pupils are given numerous opportunities to get involved, both within and outside the curriculum. These become enshrined in the Silcoates Diploma, which is a formal recognition of a pupil’s commitment. Sport and exercise are important features of life at Silcoates. Boys are introduced to our core sports of rugby, hockey and cricket in the Junior School and, due to our size, most have the opportunity to play for the School throughout their career. In 2017, our 1st XV made it to the semi-final of the NatWest Vase competition at the home of Saracens RFC. Girls are equally as competitive in hockey and netball. Recent tours have included the US and Canada, Italy and South Africa. We passionately believe that sport is for all and so alternative options are available, such as basketball, tennis and badminton, with the emphasis being as much on participation and development as on achievement. All pupils are given every encouragement to express themselves in the full range of artistic activities. This is certainly in evidence in the Junior School, where the children have the chance to sing, paint and perform on an almost daily basis. Pupils throughout the school have the opportunity to excel in Art and are also able to study Photography at A Level. Music is thriving, not least due to our modern and well-equipped specialist facility. Drama is thriving: recent productions have included ‘Oliver!’, in which almost a fifth of the School participated and ‘The Lion, the Witch and the Wardrobe’. Pupils of all ages have the opportunity to push themselves way beyond their comfort zones through going on trips and expeditions abroad. The Duke of Edinburgh’s Award Scheme is very well established at the School and several pupils achieve Gold every year. ‘Grit’ and determination are also evident on our biennial expedition to Tanzania, when senior pupils have the opportunity to participate in the life of a rural village, whether that be through refurbishing a school or educating the children. Such activities are life-changing and many pupils look back on them as one of their highlights of their time at Silcoates. The principal accolade that many parents and former parents afford the School is that it is a warm and welcoming community and that their children make friendships here that last them a lifetime. It is certainly true that there is not one ‘type’ of Silcoatian and that the School endeavours whenever possible to focus on an individual’s needs, whether they be academic, co-curricular or social, to ensure that that everyone feels encouraged, safe and happy. Our pastoral system enables every pupil to have a close relationship with their form teacher or tutor and, in the Senior School, their Head of Year. We also have a full-time Chaplain and School Nurse, who are both on hand to offer advice and care. Not only do we care for one another, we also acknowledge the good fortune we have been given to be part of Silcoates. All pupils take part in a large number of charitable activities throughout the year. In 2017, we were given the Yorkshire Society Community Award for raising £58,000 across the year. In our regular acts of worship, which are broadly Christian, we seek to imbue each and every member of our community with a sense of mission to help others. Humility and a sense of responsibility are traits we wish to see at the heart of all Silcoatians.